LOOKING for the "O" in G-D! 1) Because it makes the words G-d and L-RD unpronounceable. We can read the names and know Whom we mean, but cannot pronounce them. The misuse and abuse of any of G-d’s Names is anathema [“accursed”] for a Jew. During the third century A.D., the Jewish people stopped saying this name in fear of contravening the commandment “Thou shalt not take the name of the LORD thy God in vain” (Exd 20:7). 2) Another very important reason is the fact that there are many other “gods” of other nations. When the Israelites were exiles in Babylon dwelling among idol worshipers, the elders ruled to make a distinction between the gods of the Gentiles and the G-d of Israel by leaving the “o” out. The great sanctity and holiness of our G-d does not allow for reference to Him to be spelled like all the other “gods”. Hebrew is written from right to left. The characters represent YHWH or YHVH. The Hebrew alphabet (see chart) has a limited number of letters. Sometimes the Hebrew character for V/W is shown as a “V” and sometimes a “W.” YHWH is referred to as the Tetragrammaton (which simply means “the four letters”). YHWH comes from the Hebrew letters: Yud, Hay, Vav, Hay. Originally Hebrew had no written vowels. The Jews themselves scrupulously avoiding every mention of it (again to avoid misuse and abuse of His name) and substituting in its stead one or other of the words with whose proper vowel points it may happen to be written, usually the name Adonai. They continued to write YHWH, but read Adonai (L-rd/Master). As a result, the actual pronunciation of G-d’s name has been lost. The name of our G-D and the titles by which He is known are extremely important and a casual use of “G-d” fails to communicate adequately the greatness, majesty, holiness, and grace of the One to whom we refer. Using G-d’s Name in any way that may be disrespectful; like using the exclamation “Oh my G-d” or “I swear to G-d,” and any other such expressions are using His Name in vain. HaShem’s Name needs to be respected honored and revered. 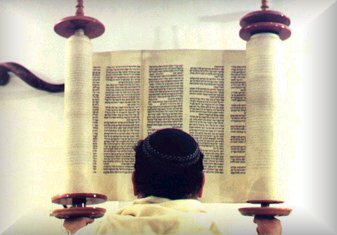 Hence, to distinguish the Holy One of Israel from other gods when we use the plain word “G-d” – is to leave the “o” out and insert the “-“ instead. I hope this explanation will satisfy your curiosity and prevent you from taking offense because of this Jewish custom. We will be studying more on the ‘Name’/HaShem.